If you need a disability-related accommodation or wheelchair access information, please contact ____________ (name or office), at ph: _________, fax:________, or e-mail ____________. Requests should be made by _____________(date, at least one week in advance of the event). Remember to inquire what, if any, accommodations your organizing team also require. Also, promoting a scent-free practice for the event will increase the comfort level for those participants with chemical sensitivities. 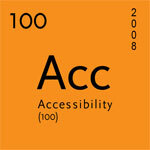 Ideally, all venues would be appropriately accessible for everyone to be able to use. However, reality dictates that is not necessarily the case. For smaller venues in less populated areas, creativity may be required to obtain an adequate level of accessibility. Can individuals using wheelchairs and other mobility devices get into the building? Is wheelchair parking available near the wheelchair entrance? Is there a wheelchair washroom? Are hallways and doorways wide enough (a minimum of 36" or 91.5cm) for people using wheelchairs to navigate? Are there visual fire alarms? If not, inquire about the facility’s evacuation plan or create your own. If the event will be held on an upper floor, is there an elevator large enough for a wheelchair or scooter? Navigating an unfamiliar venue for the first time can be disorienting and even frustrating. Clear and legible, preferably high contrast, signage assists in pointing people in the right direction. Ensure that the signs for the street address or building name are clearly visible from the street. If the wheelchair accessible entrance is not the main entrance, place a sign at the main entrance pointing to the wheelchair entrance. Post clear and easy-to-read signs showing locations of accessible washrooms, elevators, phones, etc. Are all meeting rooms wheelchair accessible? Is there room for wheelchairs, scooters and service dogs? When a room does not have fixed seats, remove chairs so that wheelchair locations are integrated with other seating areas. (i.e., chairs removed should be interspersed – front, middle, back, sides of room, etc). If a presenter uses a wheelchair or other mobility device, ensure there is a ramp up to the stage and that the lectern is adjustable. Ideally, all of the stages and speaking areas, including lectern or podium are accessible to wheelchair and scooter users. Ensure that there is a well-lit space provided for the sign language interpreter when interpreters will be present. Check for noise levels (ventilation systems, noise from adjacent rooms etc.) which may be distracting. Check to see that the meeting room has appropriate requirements (drapes, blinds, etc.) to provide reduction of light or glare from windows. Covers should be used over electrical cables or cords that must cross over aisles or pathways. Cable covers should be no more than 1/2" thick in order for wheelchairs to traverse across them. Once the participants are comfortably in the room, the session’s content also needs to be accessible. Here is where having accommodation requests from the participants beforehand assists in preparing any materials and in preparing the presenters. Large-print fonts range from 16-20 point. Material should be printed in black ink on white paper. Encourage presenters to use captioned videos, where possible. Otherwise, provide an alternate means for participants who are Deaf or hard of hearing. During video and slide presentations, offer to have someone sit beside an individual with visual impairment to describe the scene, people and action as it happens without interfering with already existing narrative. If requested, provide sign language interpreters. See how can I hire an interpreter for more information. Where beverages are being served, bendable straws and lightweight cups should be made available within easy reach of individuals in wheelchairs or scooters. Provide non-sugar (dietary) beverages, juices and water for people with dietary concerns such as diabetes. Self-serve meals or buffets may present obstacles for some people who are visually impaired or people with a physical disability. Well-trained catering service staff can provide assistance to participants who require additional help. If catering staff is not present, ensure that someone is assigned to assist those who need help getting food. Check to make sure that an alternative to pastries and cookies, such as fruits or vegetables, are available for people with dietary concerns. Provide an opportunity for participants to indicate their dietary needs on any registration form or invitation to an event where meals are being served. If transportation is being provided for an off-venue trip, is it wheelchair accessible? Or, have alternative arrangements been made? An enlightened and helpful staff can be invaluable during the event. Ensure the staff has received disability awareness and creatively solve unusual problems. They may be asked for the nearest wheelchair repair shop or the nearest veterinary (for service animals). They may need to know the location of the TTY (teletypewriter for those with hearing or speech impairments). Or, they may be asked for a water bowl for an assistance dog or where dogs can be taken to do their business. How Will You Use Your Extra Day? Thank you for this great check list! I appreciate your inclusion of promoting a scent-free practice. A good ventilation system with recently changed filters would be a plus as well for those with Multiple Chemical Sensitivity. Great point about the filters! Thanks, Susie. Direct Access Solutions provides hotel kits for not only those with dwarfism but also for those who require assistance being independant. 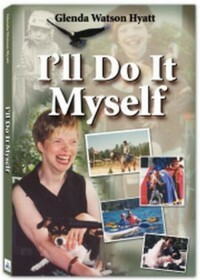 Anyone that watches The Roloffs in Little People Big World on TLC will recognize Amy Roloff in the picture on this page. Great job on this post! I wanted to let you know that I really appreciate these posts, it’s obvious that you’re putting a lot of time and effort into these resources! The one thing I would add is that with handouts, it is helpfu.l to have other formats besides large print. For example, I often work with the presenters at workshops to get electronic copies of their handouts, slides and other materials. It might be helpful to prepare presenters in advance so that they know that this may be a request made by participants. It’s great for people who have reading challenges such as dyslexia or physical challenges with holding a handout. That is the only thing I can think of to add. I am really enjoying this series, but I love your whole blog. Thanks S. Emerson and Nickie for your great suggestions. I had to stop writing this post at some point, so I love that my readers are adding to it. How long can we make this checklist? You are listed as #5 in my listing of 7 blogs. This is a wonderful series. Just the other day I was wondering if I suffer from Multiple Chemical Sensitivity and glad to see the other comment mentioning this as well. This blog is written by a AT in NJ school district. She wrote about attending Closing the Gap conference. It is a series that covers the exhibit hall, etc. You two could team up for a book or joint venture. A complementary approach to solve some problems with little means.